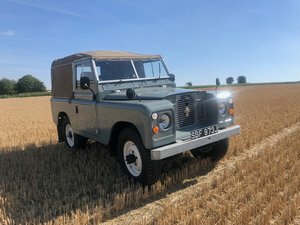 This superb Land Rover Series IIA 88” was subject of a major restoration in 2017 and has arrived with us in exceptional condition. 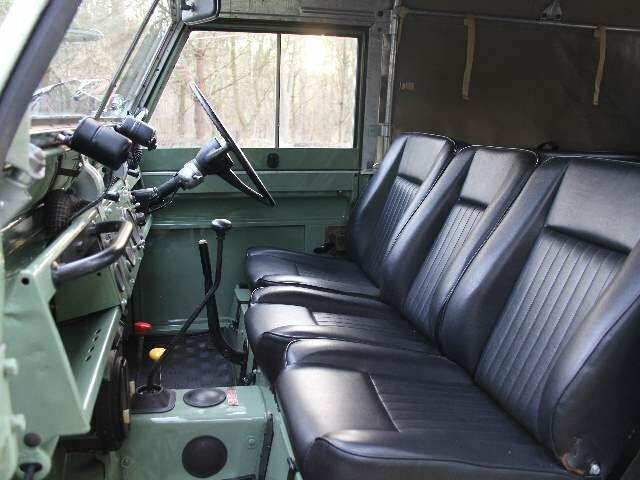 From the British Motor Industry Heritage Trust certificate we know this RHD Home Market Landy was built on the 22nd September 1966 as an Army vehicle, distributed from the Army Central Vehicle Depot in Irvine, North Ayrshire on the 30th September 1966. 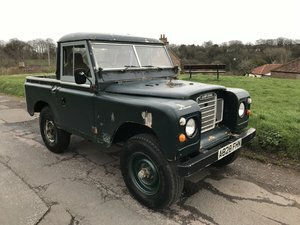 This example first came to us in part exchange from a customer in Epsom, Surrey and it was a scruffy, regularly used Landy often parked out on the street. 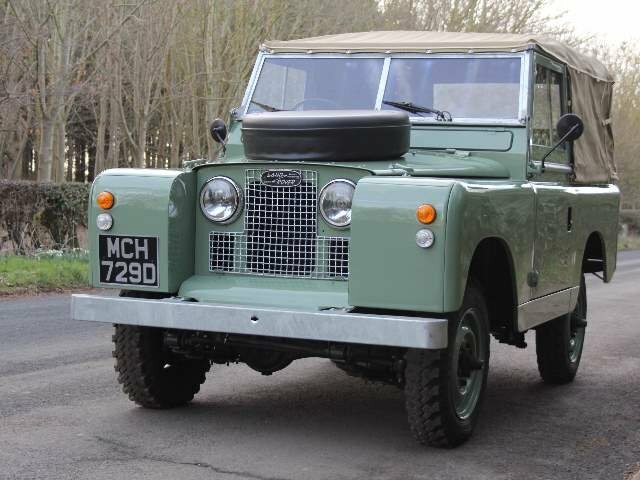 We collected the Land Rover in Surrey and immediately sold it to one of our regular customers in Northern Ireland who was looking for an example he could use on a regular basis. 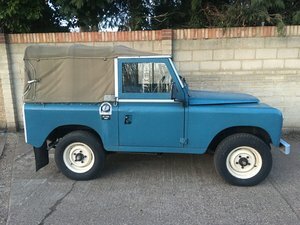 Having owned the vehicle for four months, a change in circumstances saw the owner sell the Series IIA and we were offered first refusal and bought it back. 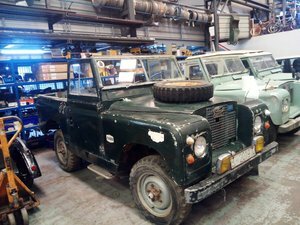 MCH 729D didn't make it onto the market the second time, one of our long term customers in Hull was looking for a Land Rover to have restored. This was the perfect vehicle to improve as its main running gear was incredibly strong and the chassis was in excellent condition. 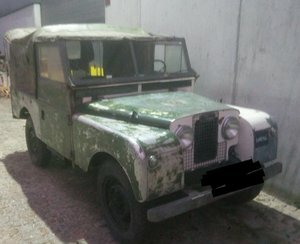 The vehicle had been subject of a major body off restoration during the early 1990's (couple of photos present) so the vehicle was already strong in terms of structure and had a strong fit, healthy engine with receipts in the file for cylinder head work just a few thousand miles back. 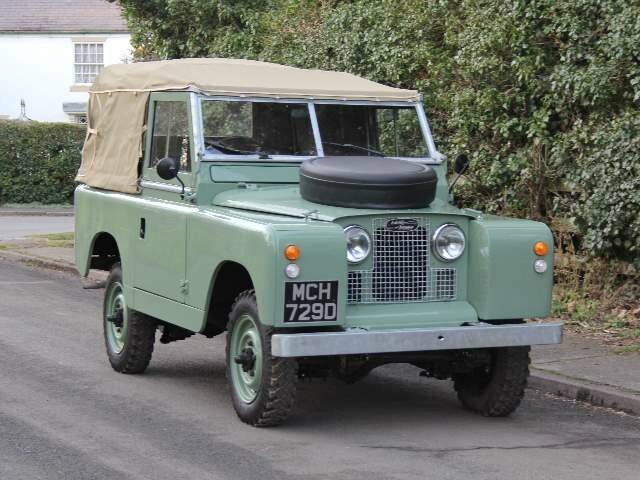 A deal was reached and the Land Rover was delivered to Malton Coachworks for a major program of work. 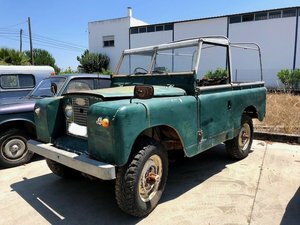 First of all, the engine and gearbox were removed, the Land Rover fully stripped down and then delivered to our bodyshop as a rolling shell for major bodywork and an outer and inner bodyshell re-paint in the popular Heritage Land Rover Light Green. A full photo record showing the level of work carried out is in the history file. Bodywork included fitting new front and rear sills, new outer wing panels, new headlamp panels, new front floor pans, new lower tail gate assembly and new rear quarter tub wing skins. New door rubbers, bulkhead buffer rubbers, bulkhead vent seal, closed rivet body cappings, door hinge repair kits, bumper bolts, full set of lights, rear corner cappings, re-galvanised trims, badges, tailgate chains, chain fixing brackets and canvas hood were all fitted to the Land Rover during the build up after re-paint. Mechanically the Land Rover was treated to a new front differential unit, new propshaft, new front brake drums, new hub gaskets, new hub oil seals, front and rear brake shoes, brake adjuster kit, wheel cylinders, various brake hoses, new water pump, new engine mountings, gearbox mountings, new front and rear leaf springs, steering arm ball joints and drag links, new heater hoses and heater matrix. With the engine removed it was treated to a new front crank oil seal, twin crank shaft pulley, new rear crank oil seal, sump gasket, rocker cover gasket, various other oil seals replaced and whilst the gearbox was out of the vehicle, it was treated to all new gaskets. 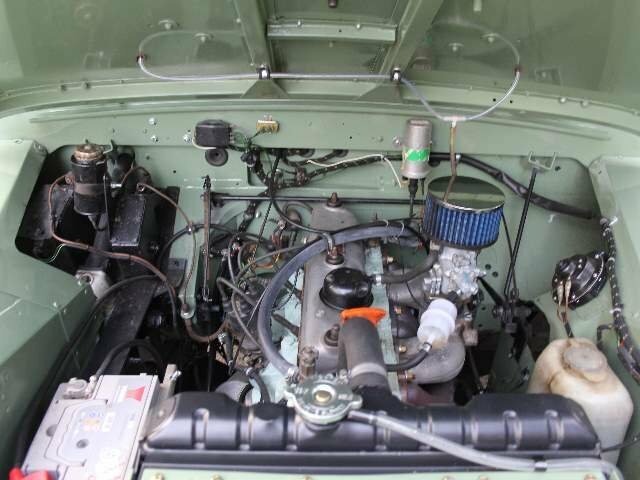 Further included a new manifold, new clutch plate, cover and clutch release bearing, new clutch slave cylinder, new wiring loom, new fuse box, new battery cables, new isolator switch, a new set of tyres, new radiator and much more. Prior to re-fitting to the stunning freshly painted engine bay, the more or less oil leak free engine was beautifully detailed and ready to go back into the car looking its very best. 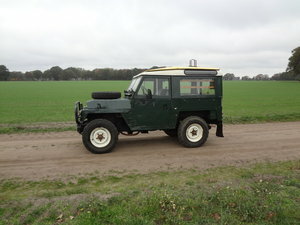 Having had over £18,000 spent on the Land Rover, it was delivered to its new owner in Hull and has been enjoyed in fine weather only.  The Land Rover has covered less than 500 miles since completion of the work in mid-2017 and comes back to us in excellent, show standard condition. The body and paintwork are truly exceptional, the engine bay first class, the hood still as new and the interior having been totally stripped out looks stunning with its fresh-looking paint finish. The seats were re-trimmed many years back and still present very well, the underside is also very smartly presented and is structurally superb. On the road MCH 729D is first class as expected. It rides superbly with its rebuilt suspension, brakes are excellent after full overhaul and the engine and gearbox are both strong and very healthy. This really is a beautifully prepared and presented example that can be driven with confidence and also taken onto the showground and displayed with pride. 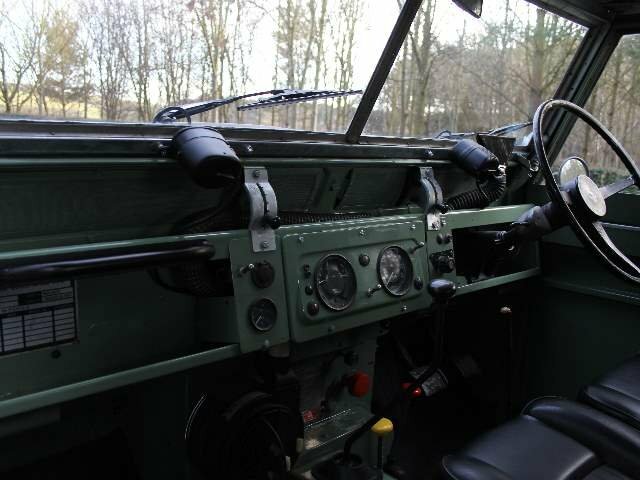 Land Rover Series IIA 2.5 2A SWB 88 £17,000 spent on strip down full nuts & bolts restoration. Gallery of works photos available. 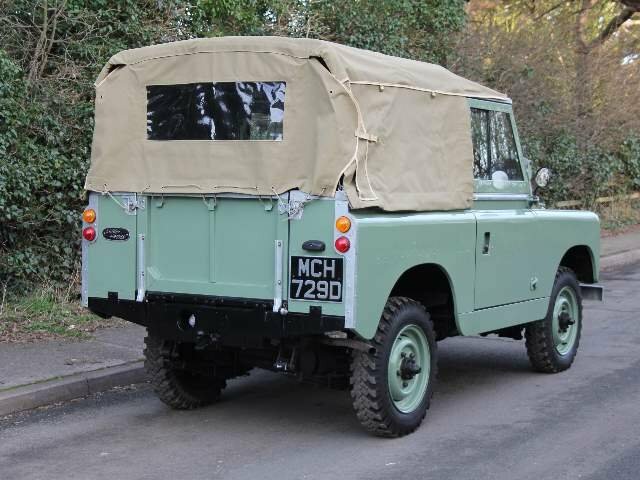 1957 Land Rover serie I 88"
Rare model 88", from 1957, matching numbers. Documents in order, including old documents handwritten. Original lights, dash panel indicators. Galvanizeds in good condition. Petrol engine working.